Here at Nintendo Life we're committed to reviewing every title released on Nintendo's download platforms. With over 1,200 download reviews covering WiiWare, Virtual Console, DSiWare and the eShop, we're confident that you won't find a more complete collection of download reviews anywhere else. If you fire up your 3DS today and head into the eShop you will see that Nintendo Life has its very own digital shelf, sharing what we think are some of the must-have games. From DSiWare to Game Boy and 3D Classics, the choices represent what our team believes to be among the very best titles for download on 3DS. The ‘Nintendo Life Favourites’ eShop shelf will be available for one whole week from today, so please ensure its success by downloading a game or two. This is the North American list, but due to variations in regional availability our European and Australasian choices will be slightly different. As always, we’d love to hear your thoughts. Do you agree with our choices or have we missed any hidden gems? Thanks to Nintendo for making this possible. Oh wow, so it's worldwide? YAY! I was super shocked to see this on the EU eShop. Also I own over 50% of the games listed. Hey, right on guys! Congrats on your eShop appearance! And those are pretty good choices. so cool i'm gonna go to the e-shop right now! This is pretty much the coolest thing ever. In my best Vadar voice...."Most impressive!" I'm not convinced that list is a genuine representation of Nintendo Life's top 20 eShop games. Some of those choices seem completely strange. I mean 3D classics: Xevious and GO Series: 10 Second Run both scored a 7 and I'm pretty sure there are far more than 20 other games people can download that you guys have most certainly scored above a 7, so why are these games on your list for example. have we missed any hidden gems? I think DK'94 is in with a shout. @Kirk we chose a mixture of DSiWare, eShop and VC - as there aren't many eShop original games to pick from yet we picked the one we liked the most. This isn't a intended to be a list of all of our 10/10 and 9/10 rated games, think of this more as a mixtape compiled for a friend with a few wildcards thrown in to liven it up. I was so shocked to see this on the eShop, that was so awesome to see that! Wow NL, you really are shooting to the stars aren't you? The one day I forget to bring my 3DS to the office... I'm missing out on all the fun. Kudos to you guys, that's a pretty big feat. Did Nintendo propose this? Ok but if you are recommending a top 20 list of games for me to spend my hard earned money on I'd rather you told me the actual top 20 you would ultimately recommend regardless of each specific service before you told me to go out and buy some random lower rated games specifically on 3DSWare for example, just so at least one game from that service makes up part of the list. I don't feel compelled to buy a game from each and every service just because that service exists, especially if in all fairness a particular service doesn't have enough games to have any/many that would be worth seriously recommending among all the options out there, so if you are calling this a top 20 across the whole 3DS eShop download service, which is how I read the article, then I think that's really what it should be, even if that means other half-decent games on another service don't get on the list. If for example 3D Classics: Xevious is truly worthy of being in the overall top 20 eShop games list then put it there but don't just stick it there for the sake of having at least one 3D Classics game on the list. Otherwise don't refere to it as a Top 20 eShop list full of the best titles and instead refer to it as "Nintendo Life Favorites", like it is in the eShop, or something like that. It might be brutal to cut out some less popular and slightly lower scoring games on a newer service but that's the only way to be fair and true to the people who are using your site to make potential purchase decisions I'd think. That's why top 20s exist and why people read and take them into consideration I would think. It is however very cool that you have your own eShop section. Edit: Ok, I hear what you are saying about it being more of a "mixed tape", and reading between the lines that what I assumed you meant, but I just found this a bit misleading "the choices represent what our team believes to be the very best titles for download on 3DS" and certainly think some of the less informed or newer Nintendo Life readers might take it literally and actually end up buying games that in all fairness don't deserve to be recommended before quite a few other games, superior games that are often made by smaller independent developers struggling to get the break but can't because people feel compelled to suggest consumers buy a game that has already made it's developer plenty of money and doesn't really need anymore unjustified free promotion, that didn't make the list. 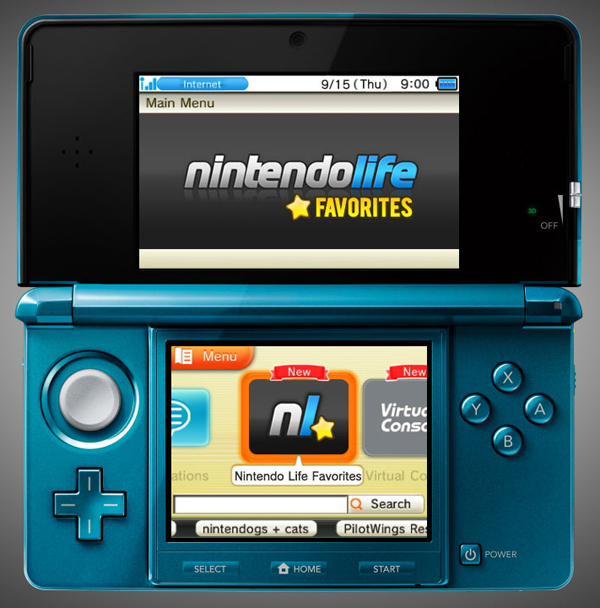 Can't wait to see "Favoritos de Nintendo Life" on the Brazilian eShop! And I agree with the list. I've already have some of those games and others are in my wishlist! I remember this site back when it was WiiWare World with that crazy scientist dude. This is very cool and, might I add, the games on the Australian list are all pretty damn good. It's good to see some good "shelves" like this on the eShop and I hope we see more of this and less "games that start with R"
I'll totally download Marios Picross now if it will help you! PiCTOBiTS and Mario's Picross should be higher on the list, and there are some definitely some titles missing that were replaced with undeserving ones. But hey, part of the reason top 20's exist is so people can state their differences of opinion! It IS awesome that you guys got an official listing with Nintendo like this, though. @Morpheel: Dude, you should've done that anyway. Great game. Congrats on the inclusion on the eShop. I really hope it becomes a regular thing and mabey even an internet link from the shop for people who have been living under a rock and never heard of Nintendolife. good list guys, and very cool to get on the 3DS like that. Congrats. For me I guess I'd say Bejeweled Twist is missing. That game is just so danged replayable. And are you suggesting Nintendo can see if I download a game straight from your section as opposed to straight from my wishlist? Or is it simply a bump in sales for the games on your list that they would deem a success? Oh my gosh, wow! This is going to give you guys a ton of publicity! @Stuffgamer1: I wanted to download it before, but was holding my moneyz just in case something else released. @Kirk I think you're being a bit harsh. I think that it's better to have a variety of good games on the "shelf" rather than simply the highest scoring titles. Xevious is fairly unique on the eShop (until twinbee arrives) and so is GO Series: 10 Second Run and even Super Mario Land. They didn't get brilliant scores on Nintendo Life but they are fairly interesting and unique titles which got really positive reviews. Pop+ Solo is the worst title I've ever downloaded on a Nintendo system... but evidently someone out there finds it fun. Wow ! This really is an amazing promotion for you guys. Great you've made it to the eShop. I think the list includes a good mixture of different games. I'd only exchange Super Mario Land for Donkey Kong (Game Boy / VC) and Game & Watch Donkey Kong Jr. for Game & Watch Gallery. @Squiggle55 I understand that the big N will be able to tell how successful the NL shelf is in one way or another compared to other shelves. So get buying and perhaps we'll get the chance to do our retro selection next! Didn't anyone check if it's in the German store as well? Cause we dont have cave story far as I know yet. Hey, why aren't any games I reviewed on that list?! HA that's pretty sweet. Good job, folks. I always make sure to reference Nintendo Life when I'm completing Game Surveys. If everyone on the site did that, I'm sure it would help keep the favorite list on for a while longer! Well yeah, Nintendo Life is one of the very best Nintendo sites out there so anything that generates extra traffic and interest in all things Nintendo Life is a great thing imo. Regardless of my suspicions, Good Luck with the list and I hope to see more of them from NL in the future. That's so cool you guys! Very proud to be a member here since the days of WiiWare World! I can't wait to check out the shelf and perhaps buy something off it (Although I own damn near every game there already!). Agreed this is Uber cool. Nintendo Life has definitely earned this opportunity. I have followed the site since it started out as VC Reviews and I am most impressed with your continued effort to cover all things Nintendo. This site is my resource for gaming/nintendo news. And the attention to retro titles and content is also much appreciated. I can assure you that this selection was made by jointly by Nintendo Life's core admin team. The choces were completely at our discretion, the only difficulties we had were due to regional availability where we had to make a few substitutions. It's really nice that see Nintendo acknowledge Nintendo Life like this. Congrats! Saw this thread and immediately went to the eShop, I have only three of these games, haven't downloaded much from eShop yet but I've been thinking about getting Shantae, Plants vs. Zombies, Art Style: PiCOPiCT, Aura-Aura Climber, 10 Second Run and Mario vs. DK. There's just so many 3DS titles coming (+ Skyward Sword, Kirby's Adventure Wii) that I can't spend too much money now if I wanna all the games so I decided to not download anything for a while. Yeah, I noticed this earlier. I was like "Wait, isn't this NL's logo..? OMG! 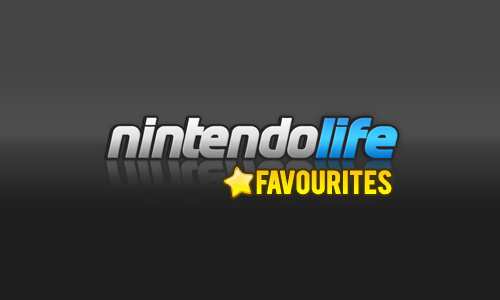 Nintendo Life Favourites? Awesome!" Hip hip horray for Nintendo Life! I thought I had all the DSiWare I'd need for now, but was so chuffed to see this that I bought 10 Second Run! This is crazy awesome, you guys are the best! Hurray for NintendoLife, hands down the best Nintendo site! Holy eff, this is awesome! I'm going to check it out! This is great! it should be permanent! Already own all those games and it's just my opinion, but there are definitely more deserving titles (like Digger Dan) that belong on that list. I find it hard to believe that, even if relabeled as NintendoLife Staff Picks, the inclusion of some of those titles don't make sense compared to the rest of the eShop library. Again, my opinion, but it hurts the credibility of the list to have some of those listed titles as absolute favorites, and chosen by a panel! Maybe consider opening it up to vetted community members if given an opportunity again to revise this list in the future. Nice going, NL! But what about GO series Picdun? As far as I know, it's the highest scoring GO game. How come you chose 10 second run instead? Awesome guys, congrats! You've come a long way from vc-reviews! Wow! This is really exciting. Hopefully it will draw even more traffic to the site. We're turning into a real powerhouse over here at NL! We've gone live in US, Canada, Mexico and Brazil now - hello world! wow, congratulations! I'm impressed Nlife got into the eshop. nintendo approves you so much they gave you a room into the eshop, thats awesome ! one title slipped thru, where is Starship Defense ? its one of the eshop title i played the most! i played tons of defense games, and it ranks quite high into the list. Is "shelf" the proper official name for these things? That's important to me for some reason. Congratulations guys this is a huge step for Nintendo Life. Going to check it out when I get some time between classes today. OMG i was on the shop and i couldnt believe my eyes!!!! I own 5 games from this top. I bought all the dsiware after reading your reviews and watching some vids on youtube. Though, I don't agree on some reviews but this is just my opinion. 1 week is too short :-/ You need to to this when MK 7 is out. @LordAndrew, yes, Nintendo appear to be calling them a "shelf" in our correspondence. @TwillightPrince we can assure you that Nintendo had nothing to do with our choices, in-fact a bunch of our reviewers voted between themselves to decide which games would be included in the list. There was no single one person making any choices. It's also not a ranking list! Our puppetry is revealed! Daz is actually Reggie! We fought this list out amongst ourselves, trust me. It wasn't pretty. Now this is just amazing! Congrats! @Corbs yeah, someone wanted the top 3 games to be from WayForward - not naming any names! Awesomeness. For some reason this makes the eShop awesome-er. Just downloaded BoxLife as a result of this! for some reason the label/icon in NA is just a yellow star and not the Nintendo Life icon. I went ahead and pulled the trigger on Mario's Picross and it is definitely a really good game. Hopefully you guys get to do it again and include all of the games you had to leave out this time. Congrats NL! Keep it up! This is amazing! NL is really expanding their horizons, lately. First with Eurogamer and now this! I am glad to be a user in this site! Congrats to all of you running the show! Just downloaded Plants vs Zombies straight off the NL shelf! Pretty fun game so far even though I'm not that big a fan of tower defense. The NL shelf is so awesome!! Congratulations guys, this is awesome. I am really happy for you guys! This makes me feel so proud! Congratulations Nintendo Life! @theblackdragon Yes, Boxlife is on the UK list. Extremely addictive! I register because of the eshop appearance. Nice! But could you guys please make a "Top" list on this site as well? Your reviews are nice, but they are also very plentiful... That's a problem when you just want to find out which the very best games are! How did you guys do it? Did Nintendo approach NL or vice versa? I bought Aura-Aura Climber just for you guys. Not at all for my own sake, oh no. It's not like I haven't been planning on getting it for months now. A few of the others also happen to be on my Watch List, so I might get one or two more tomorrow. 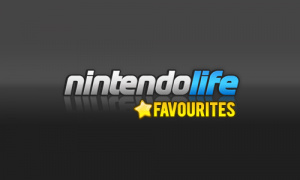 @RyuZebian: If you want to see the top-reviewed games at Nintendo Life, all you have to do is check the 'Out Now' list (under the 'Games' dropdown at the top of the page). Click the link for 'Rating' above the ratings column, and it'll sort everything in order by rating for you. Friggin' AWESOME! Congrats on the nod! No way! Top stuff guys! Re-bought PictoBits through the NL shelf, just to let them see that it's working in case they choose to track sales made through it. #11 better have been Avenging Spirit! Nice one, good to see a site as well put together as Nintendo Life get some exposure on the e-shop too. What!? Seriously!? This is awesome good job guys! Better yet, they should help sites like yours make ad supported apps for the actual system and put it on the e-shop for free. When I saw this on the eShop I did a double-take while sitting on my toilet, lol. If it wasn't for me, NL would have never been this big! That is so awesome! Now seems like the perfect time to pick up Gargoyles Quest. Very very congratularions NL. I´m very proud. A few minutes ago i saw the announce in the eshop and then came back to the site to give my congratulations. Now tell Nintendo to revive the wii eshop. If we download some games in 3ds eshop is there a possibility you can back each week? If I can find an eshop card I see a few I want on your shelf that I don't have yet and congratulations on getting this much notice from nintendo. How do you get to set up a shelf on the eShop anyway? How much does it cost? Or is it that you have to be from a respected establishment? I've been wait for the right time to buy a few a my fav. DSiware games again for my 3DS. This will be the perfect time via NL shelf! Hmm, I got so many of these before, it's difficult to find one to buy to support this! It's great news mind, it's nice to have a critic/journalist view of what to get promoted to the front of the eShop over commercial lists. Hopefully more to come! Wow! Awesome Nintendo Life! How did Nintendo find out about you and put you on the eShop? I want to know! Also, I wouldn't call Pop+ Solo a must-have, but, besides that, that's easily 80% of the good eShop games there. Great list! Great games, I will check them out! Congratulations on being featured! Fantastic! I really hope it'll be a long term thing for you guys, you really put in the effort after all! When I saw this feature in the E-Shop, I was like, "Whoa, that's awesome!" Color me impressed, NL hit the big time with corporate recognition. It's one thing to get review copies and PR buddies, but to get a spot like that, and first is something to tout. Now if Nintendo just allowed commenting on reviews. . .
good for you guys and good advertising for the site. It is a shame though that you didn't have some mention of what the site is, or have something like "Visit us at nintendolife.com" to show it is a website for people not in the know. "Thanks to Nintendo for making this possible"
I didn't know it was even possible. I mean, independent sites having a shelf on the e-shop! Anyway, good for you guys! And I agree there are some interesting titles on the list. Titles that I also want to download when I have a 3DS! nice going guys. I'z also been here since the old WiiWareWorld days and what a way you've come. Very cool! keep it up! Wow this is amazing, it's amazing for both you and Nintendo! It's great that Nintendo let you do this, and you guys doing this before anyone else. It's an amazing list, and I'm glad that you did this! Great Job. This is pretty awesome. Definitely will check this out. Hope this gets you guys even more fans. Ha hooray. Congrats guys. Has the site traffic gone up? Damn, I never expected NL to be officially recognized by Nintendo. Must feel pretty awesome am I right? Today the shop, tomorrow the world! This is awesome! But why for only one week?? @kurtasbestos That's how most shelves work. Possibly NL could return with different picks someday. Now it's that time to get Dark Void Zero to help NL become regular in the eshop. Just doin my part! People love you guys so much. Fantastic job! Keep up the great work! Here's hoping for another spot for another week! A bug step up dudes. @Kid_A You'll love it, and I'm off to bed to purchase Mighty Milky Way and play for a few minute before calling it a night. I just showed this to my wife, who's eye got all wide and started grinning wildly as she stated "Oh my God, that is so cool!" Maybe I should finally buy Mario Vs. Donkey Kong, and send over D.K JR from my DSi. I get aura-aura climber, that is going to be a nice time sink for awhile. @Slapshot My wife as well, it's good to have wives that support us Maybe all the NL spouses should start a website of their own about what it's like to be married to a video game journalist? Yeah, let's not open that door Zach. Did you send a request to participate in the eshop o how it was possible? did they phone you? This was a cool read! I had a grin on my face the whole time. Congrats nl and keep up the good work. It was mentioned above about whenever we fill out surveys from club Nintendo to mention nl. I always do since it the only source I use to follow Nintendo games and systems! Keep doing what you do best and give yourselves a pay raise! Well the ones that get paid anyways! Well, this is very cool. But why only 2 weeks? Great work guys! Fantastic to see nlife getting the recognition it deserves, I've been following you guys since before the vc-reviews days (You were called vc-archives, right?). I'll buy Gargoyle's Quest now because of this. Keep up the great work! Nice one NL! Just used your shelf to finally get Xevious. NICE! I really didn't expect this surprise. I hope that this helps other 3DS users discover Nintendo Life, which is one of the best independent review web sites. For me, this site is a much more credible source than other bigger web sites. Well done NintendoLife!! I was quite chuffed when I saw it last night. I felt like something came up there that I am a part of. It almost felt like a personal message to me. Great surprise to see you on the e-shop last night, good selection. It feels that the shop is now starting to shape up and has a positive vibe about it, independent recommendations, good category’s and upcoming and current video content across the Nintendo platforms. While you got Nintendo's ear, please can we have Cave Story and Inchworm Animation for the EU. @TBD Agreed! I'm purchasing it and Shantae again for my 3DS too. WayForward should always own the top spots, they're the best! Who'd have thunk it huh. I'm impressed dudes. You deserve it. Thought it was cool to see this in the eShop last night. It must help that I keep mentioning the NL website in Club Nintendo surveys as one of the key influencing factors for each download - surely many others do the same thing! But how did it happen? Did Nintendo approach you and ask for picks? Did you have full control over what games were listed? @ejgamer (and others) - Nintendo asked us if we'd like to do this promotion and we happily accepted. All of the choices are completely the choice of the Nintendo Life team and no one else. Really cool for the site, and a great nod to the fanbase by Nintendo. I'll buy something from the list this week to show support. Just wanted to say that I'm really really enjoying Plants vs Zombies! Thanks to NL's appearance in the eShop, I finally got it after putting it off for a long time and I don't regret the decision at all. Thanks for finally pushing me over the edge Nintendo Life Also, it looks like I'm not the only one buying off this list to show support. Hopefully if sales for a lot of these games spike, NL can become a regular shelf in the eShop! This is online on the Brazilian eShop too. Nice. That's cool! Testimony to the popularity of the site among Nintendo fans! Took a look at the eshop and im impressed with the appeareance of NintendoLife favorites. I was happy seen Gargoyles Quest on the favorites list. When I saw this on the eShop yesterday, I freaked out. A little-known unnofficial Nintendo site mentioned in a big-time official Nintendo online service. Way to go, Nintendo Life for this eShop appearance! The day after I get my 3DS this happens. . . It is a sign of what is to come! My 3DS is being repaired and of course NL gets an eShop icon. I own few of those games and I may actually give a few more a try, like Pictobits or Xevious. You guys are getting bigger and bigger! I remember the old days, back at WiiWareWorld.I'd seen the beggininf of this site around the official April Fools' launch. I'm glad it lasted, and wasn't a joke. I saw this and nearly shat my pants. GBA: Astro Boy, Ninja 5-0, Double Dragon Advance, River City Ransom Ex, and Final Fight One, and Gunstar Super Heroes. Lest I forget the Game Gear, which has yet to appear on the eShop, unfortunately. The GG excelled at action games, with the likes of Streets of Rage, Ninja Gaiden, Dynamite Headdy, Gunstar Heroes, and the already announced Shinobi. Every Shinobi enjoys delivering a thorough beat down. I saw this on the shop and i was like "AWESOME!" @Dazza I think you guys did a great job. I know you couldn't include all your favorites and please everyone, I know thats a hard thing to do so I give you major kudos for Nintendo allowing you to put this up Thanks so much and please please please beg Nintendo to keep this up for us hehe Thanks PS I own 100% of these games and totally agree. It has to mean our comments carry some weight. It's spelled "Favorites" on the NA eShop. I saw this on the eShop, and i restarted my 3DS to see if it glitched. I saw it again, and i was like: "aw s***." Very well done and well-deserved. I expect you'll get pride of place when the Wii/Wii-U shop is relaunched as the e-Shop as well. The list looks solid. Congrats on the honor! Congrats for the archievement guys! I hope to see more Nintendo life's shelfs in next weeks. Up Nintendo! Up Nintendo Life! I have to say, you guys are really lucky that no other website showed up to review all those VC/WiiWare games. Good to see Nintendo recognizing you guys. Definitely good publicity for the site. I've just read the 181 comment and i have to say it again: UUUUUUUUUPPP NINTENTOOOO. If you guys aren't the most popular Nintendo site you guys NEED to be. Keep up the good work, it shall continue to be recognized. You know what, this list is awesome however I must say... it needs more cowbell! about time guys ! great work! After finding that "Nintendo Life Favourites" on the eshop, I totally had to come here and congratulate you guys, you are awesome!! Congrats, All NL staff! I trust the reviews, & news on this site very much. Keep being trustworthy, guys/girls! Congrats guys, this is so awesome! I'm so happy to see Nintendolife make it this far. I love this site a lot. There's a lot of games on there I've been putting off buying so I think I'll get at least one from the shelf to show my support. NL is def my favourite gaming site. I've lurked here for as long as I can remember. This is pretty amazing. Nintendo Life FTW! Just saw that on my 3DS, and was very surprised. Good job guys!